The Austrian digital economy needs far more entrepreneurial and highly talented persons, inspirational framework conditions for start-ups and a seamless transfer of knowledge from the sciences to companies. For the very first time the renowned MCI (Management Center Innsbruck) will be starting its two-year master programme “International Business MBA Global Management, Strategy & Leadership for Professionals” that follows a unique blended learning concept with asynchronous and synchronous participation in interactive online learning phases and face-to-face sessions. 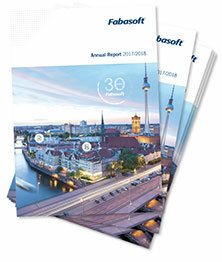 Fabasoft AG awards a scholarship amounting to EUR 9,450 - half of the tuition fee - for this new master course to applicants with the relevant academic and professional qualifications. The selection process is carried out by our partner MCI. 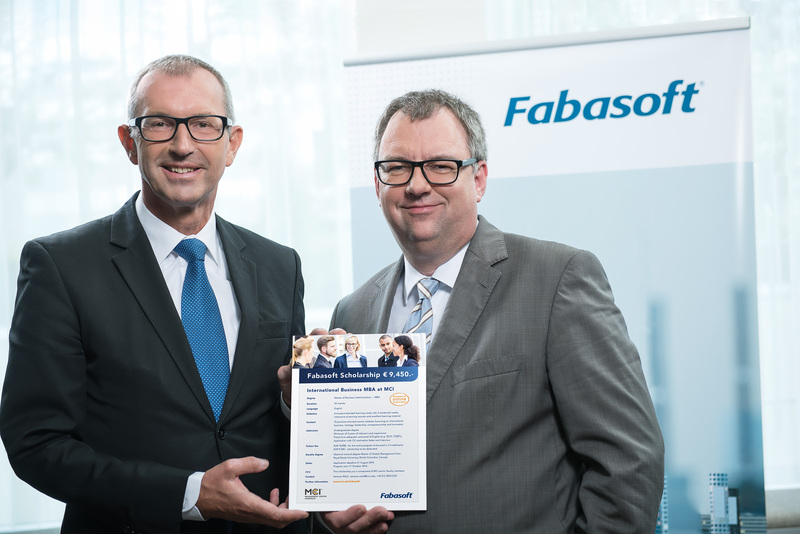 “Mentoring highly talented and motivated young people is among the pillars of our social commitment and is given top priority by Fabasoft as an employer”, is how DI Helmut Fallmann, Member of the Managing Board, explains the motive behind the cooperation with the MCI. With the structure of its contents the “International Business MBA” aims at imparting international management competences, leadership skills and cultural experience that will enable young professionals to master topical challenges in the strategical orientation of companies operating in global markets. The design of the curriculum follows this academic and practical aspiration across all management disciplines, from marketing to accounting, the generation of business ideas, the conception of successful entrepreneurships, techniques of transport and service production and on right through to HR management. If at long last Austria is to become a country of start-ups, young talent must be provided with inspirational framework conditions. These include not only outstanding training offers at universities and institutions of higher education, but also a vibrant start-up scene. Economic policymakers have recently undertaken a few encouraging activities, such as the introduction of the alternative financing law which makes crowdfunding easier for start-ups. “However, in order to push a seamless transfer of knowledge from the world of the universities to companies, we will need an even greater interlocking of the academic and entrepreneurial stakeholders in future”, claims DI Helmut Fallmann. “This is where policymakers need to herald in a cultural transformation with targeted measures that fully reflect the appreciation of entrepreneurship. Fallmann is convinced that the question of the importance of university spin-offs as a key component of the intellectual capital balance could be addressed purposely via the performance agreements of the Federal Ministry of Science, Research and Economy as well as with the universities. Austria must intensify its efforts to achieve a "brain gain" – attracting highly talented persons to academic institutions, both as lecturers and students – on all fronts shoulder-to-shoulder with the creation of attractive and unbureaucratic environments for business start-ups. 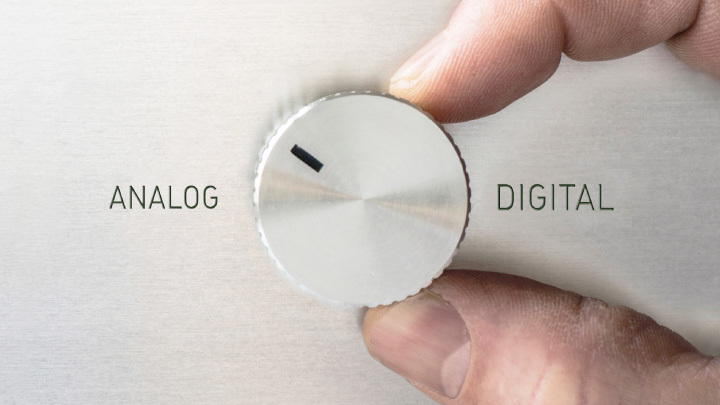 “We can only bring our economy and society into tune with the radical changes of the digital transformation by means of the targeted promotion of talented persons, the consistent development of know-how and structural innovation strategies”, argues Fallmann. “For this reason we welcome the initiative of the MCI in offering a fine-tuned master course for the relaying of global entrepreneurial leadership skills and the promotion of entrepreneurship. This academic USP developed in Innsbruck has an important signal effect for the stimulation and realisation of business start-ups in Austria. “With its 3,000 students and meanwhile more than 8,000 graduates, the MCI is an entrepreneurial institute of higher education that promotes the competitiveness of organisations and enterprises and contributes significantly to their professionalization. We are very pleased to have found in Fabasoft such an excellent partner for our students”, MCI Rector Dr. Andreas Altmann goes on to say.